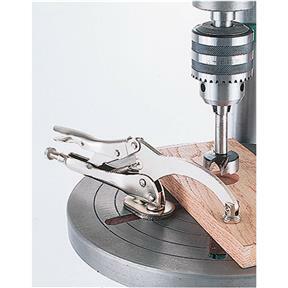 Quick Release Drill Press Clamp - 12"
Steelex - Quick Release Drill Press Clamp - 12"
Hold down your work on your drill press. Mounts with a threaded screw that goes through the slot on your drill press table and works just like regular locking pliers. 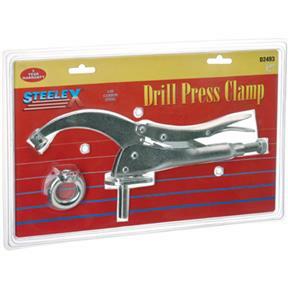 Clamping range 0" - 4 1/4."